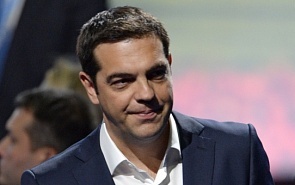 It was definitely a gamble for Greek PM Alexis Tsipras to resign opting for a snap election. His aim was to set the ballot box in the shortest possible time denying the opposition forces a chance to organize and form a viable political alternative. However, he had not looked closely enough at the Constitution, which makes it obligatory for the President of the Republic to invite the rest of the political leaders to explore the possibility of forming a government. Regardless of whether this is unfeasible, it is nevertheless time consuming. While exploring alternative coalition solutions and the usual political infighting, the anti-Tsipras forces within his own party had a chance to get together and form a new political organization: Popular Unity (LAE). Thus, SYRIZA has now split between the LAE, the mainstream Tsipras majority, Parliament Speaker Zoi Konstantopoulou and a number of other influential figures who either do not support anyone and choose to resign from politics or look elsewhere. This may have grave consequences for the fate of SYRIZA in the upcoming elections. However, not everything is bleak and depressing for Tsipras. It is very difficult for his opponents within SYRIZA to secure a considerable number of votes without ample preparation and an efficient organizational apparatus. Moreover, the fact that Tsipras adopted a more pro-Europe stand gives him an opportunity to penetrate deep in the ranks of the voting public of some of his more conservative opponents. It is highly doubtful that his partner in the government Panos Kammenos (ANEL party) will succeed in being elected to Parliament again. Most of his votes will most probably be won by SYRIZA. Likewise, something similar may happen with PASOK and Potami parties, whose pro-European stance Tsipras and SYRIZA are now imitating. Why then some – or all – of their votes would not end up supporting a party with similar views and with stronger credentials to be the next government? The big question mark is the conservative ND party. If it relies on the political platform of ‘more of the same’, i.e. supporting Europe, the bailout programs, political clientelism and support of the public sector, it runs the risk of a devastating defeat. Why should anyone vote for a party of the old, instead of the new fresh face of SYRIZA’s Prime Minister, who supports the strong public sector, its Trade Union off-shoots and big financial handouts to everyone who requests them. And now he has the funds, since Europe is all out behind him. The ND, however, has another card to play. It can distance itself from its unpopular and traditional past by persevering in its commitment to cut taxes and keep salaries and pensions safe while limiting the size of the public sector. It would gain financial strength therefore by compensating for the reduction in taxation by cutting down on public spending and courageously getting rid of red tape. This is the only way to attract foreign investment and get the economy up and running. Would the ND opt for this kind of policy? That is doubtful, because it has to fight its instincts and previous practices. It is the only way, however, to offer something different to the electorate, with the prospect of ending the bailout imprisonment. Otherwise, Tsipras’ gamble may pay off. He will win the election without a solid majority, however. This would necessitate the formation of a new post-election party coalition, which would reproduce the same political problems that led to the election. It is anyone’s guess what the future will hold for the country and the people. Especially in the face of a grave international economic crisis and a polarized global political environment.